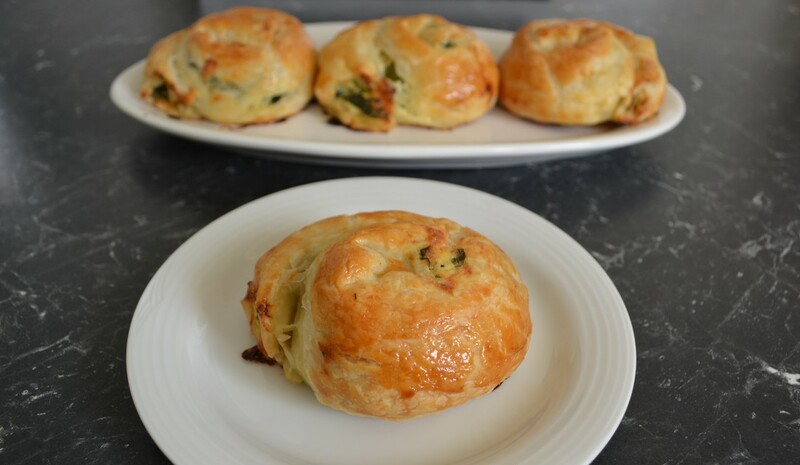 These are the best spinach and cheese spirals. I know that is a big claim, but they are absolutely delicious. This one makes me laugh a little as it has been placed in my breakfast section, why, because this is something I would eat for breakfast. Growing up, if you ever watched the movie Wog Boys, that was my life, you take to school the mortadella and ajvar sandwich and tell the other kids it was devon, as that is what the other kids were eating. Or you take a chicken schnitzel sandwich and everyone wants to trade you, I actually would trade it for a bread roll, butter and chips, how I wanted the 'Aussie' food, as the Croatian food I had at home. These days gourmet food is the food I grew up on, my kids today take the cool lunches to school, but now as kids are exposed to more and more foods, nothing is weird anymore, their friends will try anything, mind you my kids won't trade their lunches. I digress, back to the spirals, the filling is delicious, you can vary this recipe, this morning I was cleaning out the fridge, post party, so I used what I had, in all honesty I measured nothing. But the pastry, this pastry tastes like you made it yourself, I'm not talking about the brand, but the pastry as you roll it up, some of it is not exposed to the heat in the oven, so it doesn't puff up, it goes soft and delicious, and it honestly tastes like you made it yourself. This can be eaten for lunch, for brunch, heck I'd eat it for dinner. I love eating it by unwinding the scroll. It can be eaten hot, warm or at room temperature, but it is best eaten hot. Simple and tasty, you have to try this. ​Preheat the oven to 180C/160C fan forced. Line a baking tray with baking paper. Bring a saucepan of water to the boil and cook the spinach for 4 minutes. Drain and set aside to cool a little. (If using baby spinach just pour kettle boiling water over it and all it to sit in the water until it softens, then drain and cool). Place the dill and spring onion in a medium sized bowl. Add the feta, ricotta, egg, salt and pepper. Add the spinach, using your hands, mix the ingredients to combine. 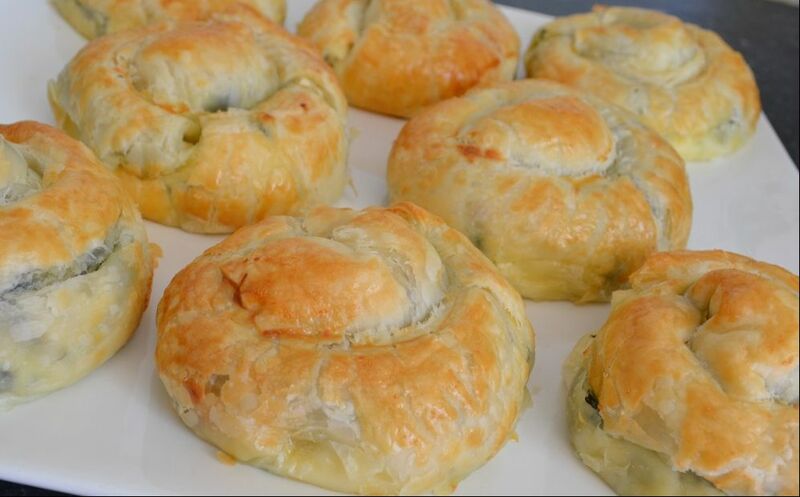 Take a sheet of puff pastry and cut it in half. Spoon the spinach mixture along the long edge of the pastry, Don’t overfill, it will be hard to roll. Make sure the pastry has softened. Roll away from your body to create a tube, then roll inwards to form a snail like shape. Your pastry should now look like a small rolled bun. Repeat until you have used all of your mixture. 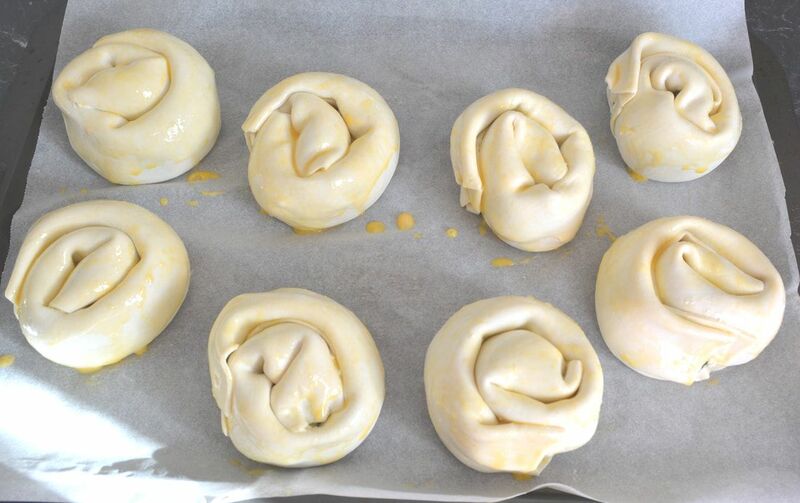 Arrange the spirals in a prepared baking dish and brush with a beaten egg. Place in the oven and bake for 50 minutes, or until golden. Leave 10 minutes before eating.